They are a young writing interest group in Pasir Ris. 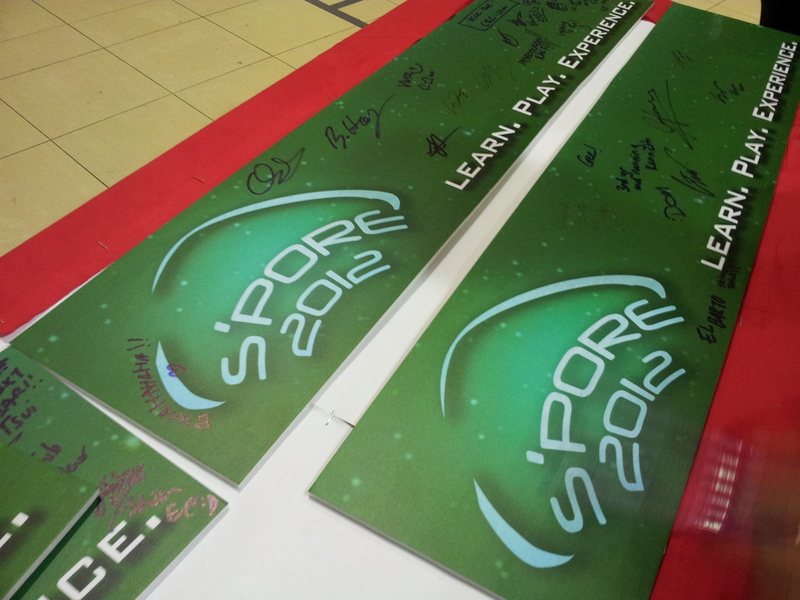 SPORE-Con 2012 is over, but the good memories are still fresh. 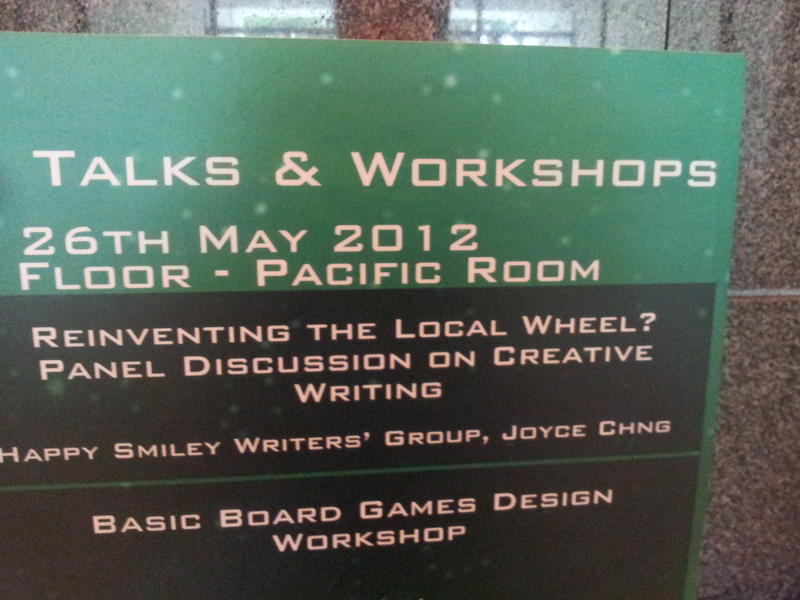 Two days of gaming and geekery, of chatting to like-minded people and creatives. Many thanks to Cheah (of House of Cheah and Billy and Saltie fame), the two Shawns who taught me the difference between East and West comics and the PI crew (Adan, Gerald, Rommel, the vassals and minions*) who worked hard to make it happen. Many grateful thanks as well to the Happy Smiley Writers’ Group, Dave and Shan Shan – local spec fic folk – to make the Creative Writing talk a success. A bit of what I am working on… and SPORE! A bit of what I am working on, an expansion on the “Hunger” fic. It has now grown into a YA tale, set in the same world of Wolf At The Door. SPORE-Con is tomorrow! Can’t wait! 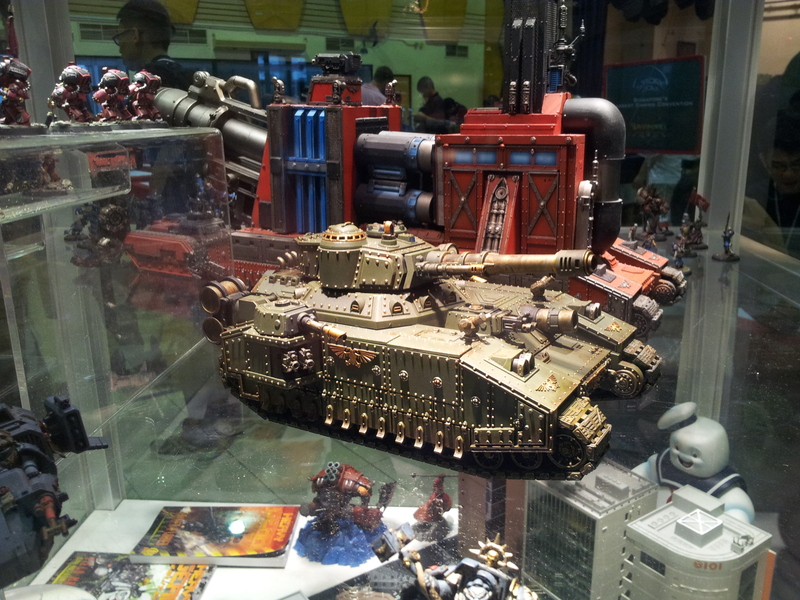 Spore-Con: gaming and science fiction convention. Come down. Meet artists, writers and gamers! The Basics of Flight: ebook release. 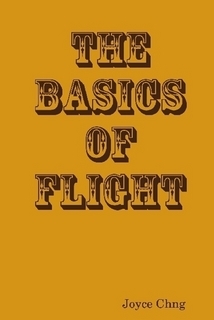 The Basics of Flight, now as an ebook and only 99cents. YA steampunk, set in an alternate universe Victorian England. She settles down gracefully at the water’s edge, calmed by the mirror-flat surface. The night whispers about her. Lights, like fireflies so rare in Singapore now, sparkle about her. Somewhere she hears the throb of techno and smells the whiff of barbequed chicken wings. A girl’s soft giggle comes from the grove of Portia trees, followed by soft masculine murmurs. She loves the night and it loves her back. “You are early tonight,” the ice-cold hand touches her shoulder and she looks up to see the water spirit looming above her. She can see the stars and a random passing plane through the transparent figure. “I was relieved early from my duties,” she explains, always feeling edgy around the water spirit. The spirit flows, like the slow cascade of clear water. It moves in the shape of a woman, the shape it wants to be seen by mortal eyes. She remembers all the news in the papers. The suicides. The drownings. A society in flux and eating itself from inside out. The throb of techno grows suddenly loud and there is drunken laughter, a sharp-pitched yelping. She feels the change of atmosphere, the feeling of hunger … in the air, the emptiness in her stomach. She stiffens, almost reaching for her dragon-form athame in her pocket. She finds it difficult talking about money and the pursuit of fleeting happiness. She hates being who she is, feeling their hunger, feeling their need. She stands up, her feeling of peace gone. In the distance, she knows the darkness waits for its meal.